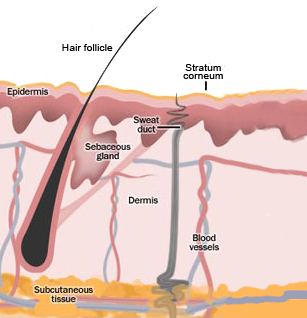 Dermatology is the branch of medicine dealing with the skin and its diseases. It combines a unique specialty with both medical and surgical aspects. A dermatologist is a qualified medical specialist who, through additional training, has obtained postgraduate qualifications to specialise in the diagnosis, treatment and prevention of skin disease and skin cancers, as well as diseases of the skin, hair and nails. Darlinghurst Dermatology Skin & Laser Clinic provides professional treatment and management of skin problems such as acne, eczema, psoriasis, rosacea, skin infections, hair and nail disorders, pigmentation problems, occupational dermatitis, and skin cancers such as basal cell carcinoma, squamous cell carcinoma and malignant melanoma. The training for dermatologists is intensive, initially qualifying as general practitioners, studying six or more years at a university to gain a medical degree. The application to enter the Australasian College of Dermatology requires a further five-year study to gain a degree in dermatology. Dermatologists who successfully graduate become a Fellow of the Australasian College of Dermatologists (FACD). To see a specialist dermatologist for a medical condition you will first require a referral from your GP (optional) to gain an appointment. Please discuss any concerns you have about your skin and ask your doctors opinion about referring you to a dermatologist.